A television can make or break the way you watch shows, sports or movies. That’s the bottom line. 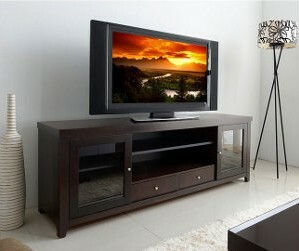 If you have a TV that is one of the finest, then you will forever want to watch any and everything on that specific TV. You will be hosting Super Bowl parties and watching movies with family; you will be the master of the TV. However, you can’t just assume that you can walk into a store and get the right TV that fits your living room. There are many factors that go into choosing the one that will be the perfect match for your house. · What is your price range? If you are going to make this purchase worthwhile, which I’m sure you are considering this is one of the most useful items in the entire house, you need to figure out what your price range is before deciding on which TV works for you. You should plan on spending anywhere from $500-$2500 for a quality HDTV, depending on the brand of the TV as well as the whether it will be an LED, LCD, plasma or regular flat-panel TV. The high-end TVs can be found on sale at any of the major outlets, but I would caution anyone buying a re-sale from someone online because there are so many possibilities for little quirks from previously-owned TVs. · What size TV is on your wish list? The majority of TV-buyers these days want the biggest and best (and newest) TV out there, but you have to figure out what size TV is going to be best for your home. All of us want to have the 60” flat-screen in the middle of the living room that booms with audio while we are watching our favorite TV show or favorite sporting event. However, size comes in to play here. Just because you may want the biggest and best, does it fit your budget? Will it be too big or even too small for your living room? You need to gauge what is on your wish list and figure out if the 70” or 75” TVs have the proper TV stand that will fit into the corner of your living room. You also need to realize that the larger the TV, the more expensive it gets. Be cautious when you see a huge TV on sale for anything less than $1,000. It typically means the picture quality won’t be the best or it comes from a previous owner. · What store/outlet are you buying from? When making this type of purchase, I would go the standard route and go to a Best Buy, Radio Shack or Sears, something of that nature rather than going to a local TV store that obviously doesn’t have the same buying power as the big dogs. When you get the TV from a major outlet, you also have a much more comfortable feeling knowing that you have a warranty that I’m sure is better than any you will get elsewhere. Feel free to shop online at the major outlets as well because a majority of them won’t charge shipping since you are going to be spending a nice chunk of change. · What size is your living room? You can’t buy a TV that is going to be too big for your living room and on the other hand you can’t buy a 32” TV for a large family room. It just doesn’t work that way. Whether you have book cases or tons of furniture spread throughout the living room, you need to make sure you save room for the TV. The couches and end tables shouldn’t clutter the room, and the TV should be showcased in the right spot, not tucked in a corner that makes it look out of place. The living room needs to fit the size of TV you plan on getting, plain and simple. Author: Doug Chapman is a staff writer for Home Daddys, a stay at home dad blog. He specializes in diapers and sippy cups, but is a successful real estate investor on the side.